At dinner parties there is always a surplus of wine, and white wine and I aren’t a great mix. Not only am I light-weight but with wine I also get three day long hangovers! I don’t really fancy wasting the last days of my holiday feeling horrible, so making a Gin and Tonic Cocktail is my way of making my usual tipple just a bit more special. First you need to make a lime sorbet, if you are one of those weird people who prefer a G&T with a slice of lemon rather than lime, then I guess you could make a lemon sorbet instead. Then add tonic, gin and more lime slices for the perfect cocktail. First place the sugar in a pan with 500 ml of water, under a low heat. After all the sugar has dissolved, you should be able to see the bottom of the pan, turn the heat up until the syrup begins to boil. Remove the pan from the heat. While the syrup is heating up. Zest six of the limes and remove the juice from all 12, be sure to strain the juice. Pour the syrup into the juice and zest, and leave to cool, then place in fridge overnight. The next morning place the syrup in a freezer proof container. Every couple of hours take out the sorbet and mix throughly then add to food processor and blend till smooth. Add the sorbet back to the container and re-freeze. Repeat this process 2 times. Leave in the freezer till needed. 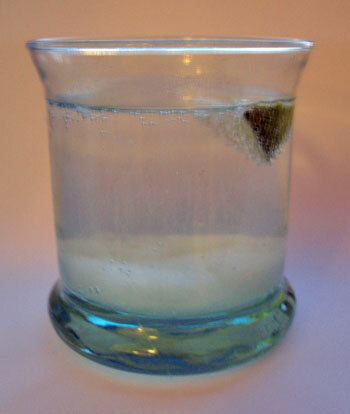 To serve place a shot of gin (I use Bombay Saphire) in a glass, add a scoop of sorbet, a slice of lime and fill with tonic. Voila. Hope you have, or have had, a wonderful New Year’s Eve.